IF YOU CAN'T RESIST A SMILE, A TOE TAP OR A SURGE OF ENERGY WHEN YOU HEAR THE LILTING TONES OF TRADITIONAL IRISH MUSIC THEN REELJIG IRISH DANCERS IS FOR YOU. AS WELLINGTON’S HOME OF IRISH DANCE, OUR MISSION IS TO ENCOURAGE THE CONTINUED GROWTH OF THE RICH IRISH CULTURE THROUGH THE TEACHING AND DEMONSTRATION OF TRADITIONAL IRISH DANCE IN NEW ZEALAND. IRISH DANCE IS CHALLENGING, IT'S VARIED, IT'S ENERGETIC AND SKILLFUL, BUT MORE THAN ANYTHING IT'S FANTASTIC FUN. ReelJig Irish Dancers started in 2013 and we have been teaching Irish Dance ever since to people of all ages, gender and ethnic background. Irish Dance is for everyone - all ages and ethnicities. Beginners classes start from as young as age 3, while our adult classes for fitness and laughs are also well attended! While many girls are drawn to Irish Dance, boys love it too and enjoy the physicality of the hard shoe dances as their skills increase. For children, Irish Dance is more than just a skill or exercise. It provides them with lifelong friendships, presentation skills, stage presence, confidence, resilience, team-work, and lets them experience the power of hard work and determination first hand. We encourage all students to get involved in competitive dancing to challenge and motivate them to achieve and grow more. The aim on the beginner classes Is to introduce dancers to the fundamental skills of Irish Dance in a fun, engaging way. Beginners classes are held weekly for half an hour and dancers learn the basic reel, soft-shoe jig, and first hard-shoe dance. 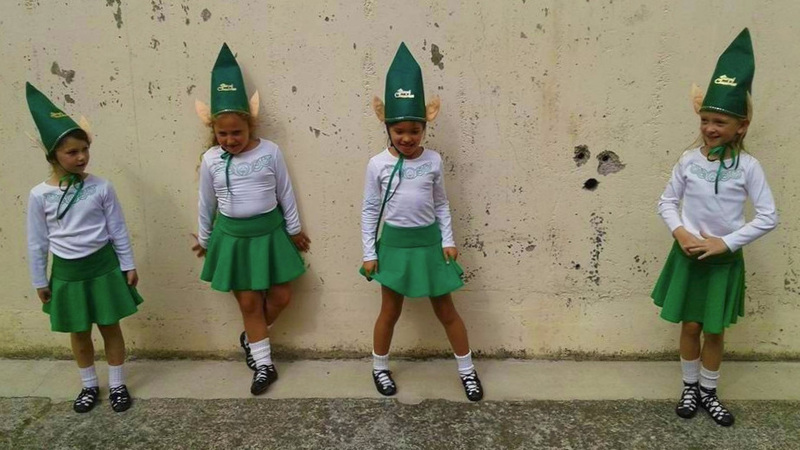 By the end of their first year, most beginners will be able to perform at their first competition (Feis). Separate beginners classes for boys are also available. Our adult classes have a focus on fun and fitness at a pace that is challenging and relative to adults. This class also is suitable for children from 12 years to join. Class/Venue Time: Monday 7.30-8.30pm, Wellington Irish Society, Fifeshire Avenue, Wellington Central. Cost: $60 (+ GST) per 4 week module.